After an injury kept Josh Mauga off the field in 2016, the linebacker re-signed with the Chiefs on Thursday, his agent, Michael Hoffman, announced (on Twitter). Mauga, who made his NFL debut with the Jets in 2010, joined the Chiefs after the 2013 campaign and played a prominent role with the team from 2014-15. The 250-pounder started in all 30 regular-season appearances during that span, piling up a career-high 103 tackles in 2014 and then notching 57 more stops and a pair of interceptions in 2015. Mauga’s performance ranked an impressive 34th among Pro Football Focus’ qualified linebackers in ’15, but he wasn’t able to build on that last year after suffering a labral tear in his hip during the summer. Now, the 30-year-old Mauga will rejoin a Chiefs inside linebacker corps that includes Derrick Johnson and Ramik Wilson in starting positions. Mauga, who filled in well for an injured Johnson two years ago, brings more experience than fellow reserves Justin March-Lillard, Terrance Smith and D.J. Alexander. In other moves, the Chiefs signed safety Steven Terrell and waived punter Will Monday, per Josh Alper of Pro Football Talk. Terrell, a three-year veteran, was a notable contributor as a role player in Seattle last season. He appeared in each of the Seahawks’ regular-season contests, combined for 560 snaps (384 on defense, 176 on special teams), tallied the first five starts of his career and totaled a personal-high 23 tackles. He’s now among four reserve safeties in Kansas City, which also has Daniel Sorensen, Eric Murray and sixth-round rookie Leon McQuay III behind starters Eric Berry and Ron Parker. The Chiefs added Monday back in May. He spent some of last offseason with the Steelers after signing with them as an undrafted free agent from Duke. Monday hasn’t appeared in an NFL game. The Chiefs have lost linebacker Josh Mauga for the season due to a labral tear, according to Terez Paylor of the Kansas City Star (Twitter link). 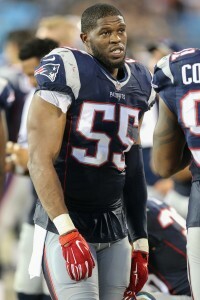 Mauga, 29, started 14 games for the Chiefs at inside linebacker, racking up 45 tackles, two interceptions, and a sack. 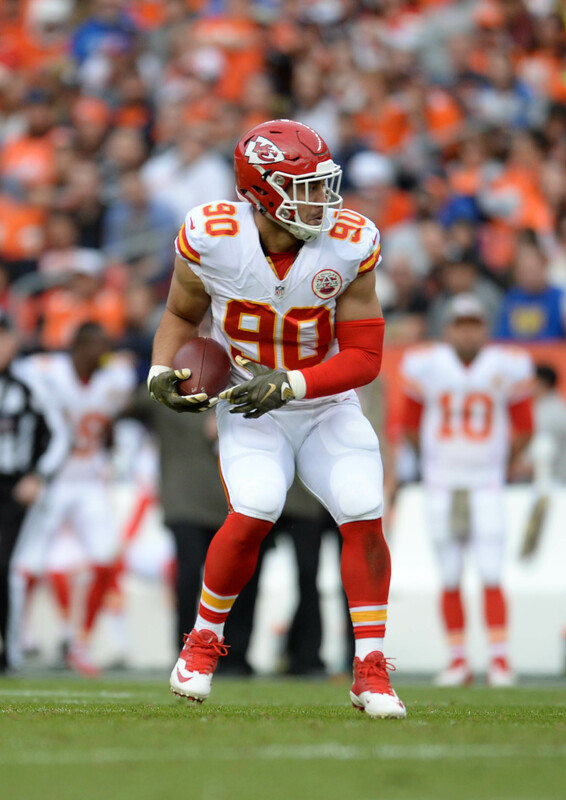 Over the past two seasons, Mauga has become an unheralded force in the middle of Kansas City’s defense, as he’s started 30 games during that period. He was especially valuable in 2014, when he filled for the injured leader Derrick Johnson. In 2015, Mauga graded as the No. 34 LB in the league, per Pro Football Focus. Mauga is signed through the 2017 campaign, with cap hits of $2.7MM and $3.75MM in the next two years. There were some conflicting – or at least confusing – reports on Friday night about the value of Marshawn Lynch‘s new contract with the Seahawks, and Aaron Wilson of the Baltimore Sun provides some clarity today, via Twitter. According to Wilson, Lynch’s new three-year pact is worth $31MM, which features $15MM in guaranteed money, including a $7.5MM signing bonus. The exact figures on LeSean McCoy‘s new contract extension with the Bills? Five years, a base value of $40.5MM, a $13.125MM signing bonus, and $26.555MM in total guaranteed money. As previously reported, the Saints‘ agreement with Mark Ingram is indeed for four years and $16MM. $7.6MM of that total is guaranteed, including a $3.6MM signing bonus. Initially reported as being worth up to nearly $10MM, Niles Paul‘s three-year deal with Washington only has a base value of $6MM, tweets Tom Pelissero of USA Today. $2.25MM of that total is guaranteed, and another $3.6MM is available in playing-time and reception-related incentives. Mike Nugent‘s two-year deal with the Bengals is worth $3.5MM, with $600K in guaranteed money. That’s not a bad rate for a kicker, though Nugent probably isn’t among the league’s best. The exact value on the three-year contract Josh Mauga signed with the Chiefs is $8.25MM, with $2.25MM in guaranteed money. The Chiefs have reached a contract agreement with linebacker Josh Mauga, and are re-signing him to a new three-year deal worth $8MM, tweets Adam Schefter of ESPN.com. Mauga had been eligible for unrestricted free agency. 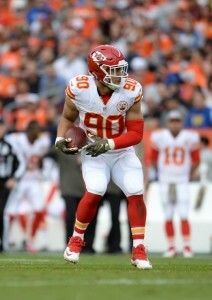 Playing on a minimum salary in 2014, Mauga logged significant time at inside linebacker for the Chiefs, playing more than 1,000 defensive snaps in his first full season as a starter. In my look at the free agent market for inside linebackers, I viewed Mauga as a second-tier player due to his subpar performance against the run last season. While the 27-year-old wasn’t a detriment to the unit in pass coverage, and got after the quarterback every now and then, his poor grade against the run ensured that he ranked 54th out of the 60 qualified ILBs, per Pro Football Focus (subscription required). Still, the Chiefs liked Mauga enough to lock him up for three seasons, and will likely pencil him in as a starter again for the 2015 season. We’ll have to see whether $8MM is really the base value of the contract or not, and it’s not clear how much of that money is guaranteed, but it looks like a solid deal for the young linebacker. Looking at the list of Chiefs free agents, Adam Teicher believes the team should prioritize re-signing linebacker Justin Houston, followed by guard Rodney Hudson. When it comes to linebacker Josh Mauga and defensive back Ron Parker, the writer says the two players are replaceable. Adrian Peterson would make some sense for the Raiders should be become a free agent, says Bill Williamson. Meanwhile, a reunion with linebacker Rolando McClain seems less reasonable to the writer. Mike Wells expects Vick Ballard, Dan Herron and Zurlon Tipton to be at Colts training camp, and he wouldn’t be surprised if the team re-signs Ahmad Bradshaw. However, the writer has little faith in the team bringing back embattled running back Trent Richardson. Michael DiRocco is of the opinion that it would be a waste of money for the Jaguars to pursue defensive tackle Ndamukong Suh in free agency. After all, the team has “more pressing needs,” and the money the team would have to invest in the All-Pro defender could instead be used on multiple players. THURSDAY, 10:09am: The Chiefs confirmed the two signings today, adding that linebacker DeRon Furr has been cut and fullback James Baker has been placed on the reserve/did not report list (Twitter links). WEDNESDAY, 11:32am: The Chiefs are expected to officially finalize a pair of signings shortly, adding offensive tackle Ryan Harris and linebacker Josh Mauga to the roster. The news of Harris’ signing comes from the tackle himself, who tweets that he’s “beyond happy to be a Chief.” Meanwhile, agent Michael Hoffman of Premier Sports tweets the news of Mauga agreeing to terms with Kansas City. Harris, 29, has spent the first six years of his NFL career with the Broncos and Texans, starting 39 of his 78 total games. Although he was a reserve last season in Houston, Harris appeared in each of the team’s 16 games and logged 485 offensive snaps, primarily at right tackle. Mauga, 27, played for the Jets from 2010 to 2013, appearing in 29 games during his first three years but missing last season with a back injury. His best year for the Jets came in 2011, when he made nine tackles on special teams and also played 145 snaps on defense. For the Chiefs, Mauga figures to compete for a role primarly as a special-teamer. Neither move has been formally announced by the Chiefs yet, so we’ll have to wait for the club to make the signings official and to indicate which players are being cut to make room for the new additions. Joseph Person of The Charlotte Observer looks at 10 question the Panthers will face this summer, including what will happen with Greg Hardy and how the team’s receiving corps will shake out. Roy Cummings of The Tampa Tribune looks at five key newcomers for the Buccaneers, including (of course) Josh McCown, Mike Evans, and Alterraun Verner. Linebacker Josh Mauga, who played for the Jets last season, will work out for the Chiefs on Monday, tweets Gil Brandt of NFL.com. Jim Wyatt of The Tennessean provides training camp previews for the Titans‘ quarterback, running back, offensive line, and tight end positions. Troy E. Renck of The Denver Post looks at the Broncos players who are “under the microscope” this season, including Von Miller and Orlando Franklin. Jason Wilde of ESPNWisconsin.com continues his positional previews of the Packers with a look at the club’s receiving unit. Pete Dougherty of PackersNews.com adds a preview of the Packers‘ linebacker corps, noting that Green Bay needs to manage Julius Peppers‘ snaps to get the most out of the aging star. Ed Bouchette of The Pittsburgh Post-Gazette notes that newcomers like Ryan Shazier will have to contribute on both sides of the ball for the Steelers as the club continues to infuse youth into its roster. Bouchette, in a separate piece, provides five storylines for Steelers‘ fans to track, including the aforementioned infusion of youth and increased use of the no huddle offense. Jamison Hensley of ESPN.com offers his training camp preview for the Ravens, writing that the performance of right tackle Ricky Wagner and the secondary competition will be among the most critical summer developments to watch. Nate Ulrich of the Akron Beacon Journal still believes Brian Hoyer will open the season as the Browns‘ starting quarterback. Speaking of Hoyer and the Browns, Mary Kay Cabot of The Cleveland Plain Dealer expects Hoyer to be 100% healthy for the regular season opener against Pittsburgh, and she would be surprised if Josh Gordon were to have his indefinite ban reduced.